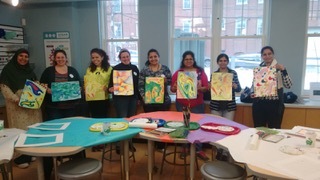 Dover, NH – Every spring, the Children’s Museum of New Hampshire in Dover creates a special art exhibition for their Gallery 6 space that aims to promote appreciation and inclusion of other cultures through the arts. This year’s “MOSAIC: Exploring Our Multicultural Neighborhood” art exhibition, on view through May 27, 2018 focuses on the stories, background and aspects of the cultures of recent immigrants and individuals from the community whose ancestors immigrated to this country in the past. The exhibition, entitled “Immigrant Alphabet” uses the letters of the alphabet as a frame of reference for the museum’s young visitors. The art focuses on the unique contributions these families have made to the community and the richness derived from having a diverse population. Each work of art in this exhibition was created by the students and faculty of the Dover Adult Learning Center, area artists, as well as friends and staff of the Children’s Museum of NH. “G is for Greece” highlights the family history of CMNH Education Director, Xanthi Gray, going back to her Great, Great Grandparents, Zaxo and Vasilios Manias. “P is for Perseverance” is a collage of photographs intermixed with small hand written notes telling the story of great grandparents from Kiev who “had to come to America to escape persecution. They arrived via Ellis Island and settled in Brownsville, Brooklyn, New York. 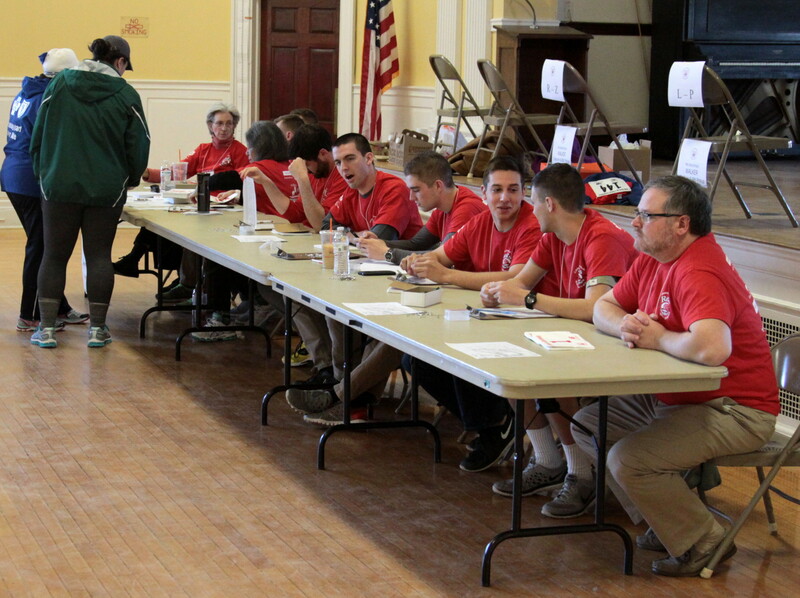 Their families spoke four languages: Hebrew, Russian, Yiddish, and later, English.” This piece ends with this loving observation: “I am named after my great-grandparents, but I can only hope that at least an ounce of their chutzpah runs in my veins. 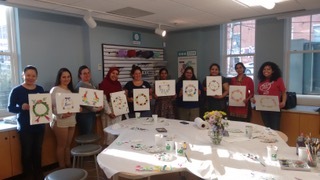 The Children’s Museum of New Hampshire would like to give a special thanks to Lien Harris, Deanna Strand, Dalia Ahmed, Gracia Watkins, Jing Xiong, Nattawan Murphy, Sandra Cordoba, Sara Kazemiha, Monica Ramirez Echeverria, Laura Frincu, Marianne Torino, Bhuvanans Siddalingachar, Anu Onkari, Rani Sip, Xanthi Gray, Eric Erwin, Taylore Kelly, Julia Kirchmer, Susan McClure, Rebecca La Cain, Jane Niles, Nancy Hotchkiss, Ana Garnica and Kimberly and Kasey Tarr for helping to make this exhibition a success. This exhibition is sponsored by the generosity of The Jack & Dorothy Byrne Family Foundation, The Fuller Foundation, The Georgia-Pacific Foundation, Abbie F. Moseley Trust, Newburyport Five Cents Charitable Foundation, and the New Hampshire State Council on the Arts.